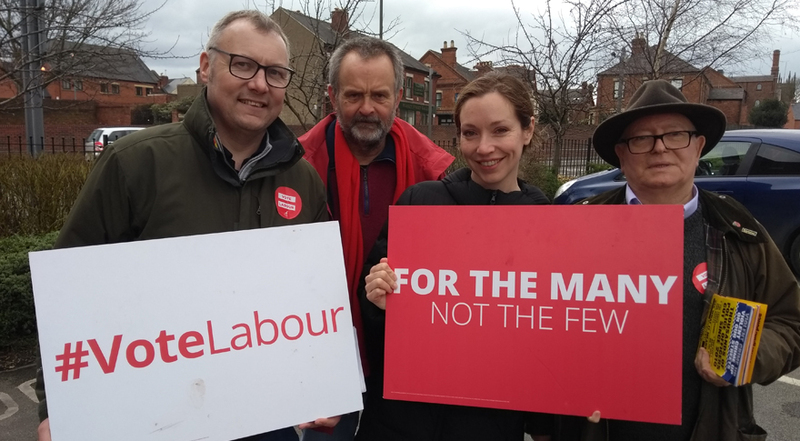 Labour activists were out and about throughout Erewash again this weekend, talking to residents about our campaigns across the constituency. Yesterday, Erewash Labour was out in the Corporation Road area of Hallam Fields. Residents there were quick to mention their concerns about the congestion in the area and the number of HGVs travelling down Corporation Rd and the state of the road itself. A new residential site with no traffic management measures in place to mitigate the impact is only adding to those concerns. Your local Labour team are taking hold of this issue and have arranged a public meeting on to discuss your thoughts. The meeting will be on Thursday March 14th at 7pm, Nottingham Road Methodist Church. Councillors John Frudd and Alex Phillips will be attending. Please come along if you live in the area and want to share your views. Later, activists spoke with residents in the Disreali Crescent area of Larklands ward. The lack of parking in the area is causing problems for residents who are struggling to park near their home, so local Councillor Frank Phillips is looking into a residents parking scheme for the area. Ilkeston residents are consistently being let down by incompetent Tories who are failing to manage every area of the council effectively. 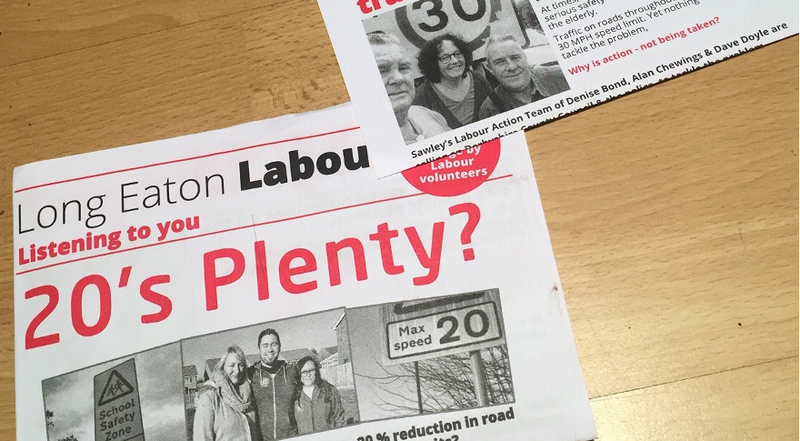 Ilkeston badly needs a Labour Council. On May 2nd residents will have the opportunity to vote for one. Today, the team were out again in Long Eaton, talking to residents in Derby Road East and Long Eaton Central wards despite worsening conditions. 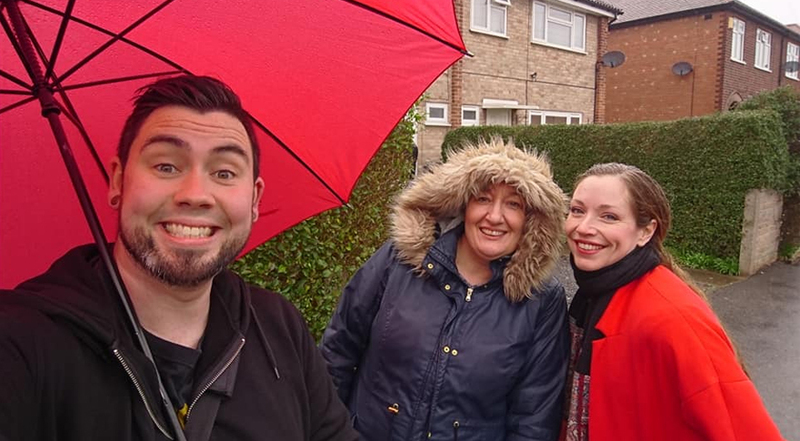 Long Eaton Central candidate, Adam Thompson, said this: “We utterly soaked ourselves canvassing today, first with out friends Howard and Margaret on Bennett Street in Derby Road East ward and then on the Fields Farm estate in Long Eaton Central (which I admit we had to take inside and finish on the phone). 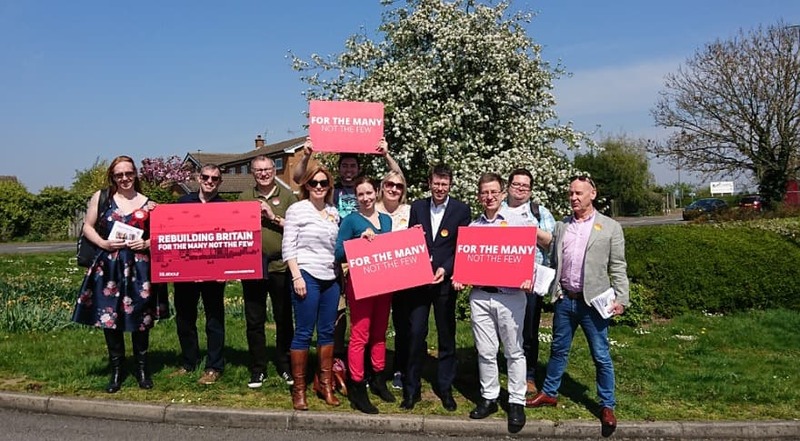 “It’s really clear that what residents really want and need in Long Eaton (and in particular, those living on Fields Farm) is a better bus service; or in the latter case – a bus service full stop. Dee, Caroline and I are completely committed to continuing to campaign for this, and are working with other candidates in Long Eaton to do our best to secure one – watch this space. 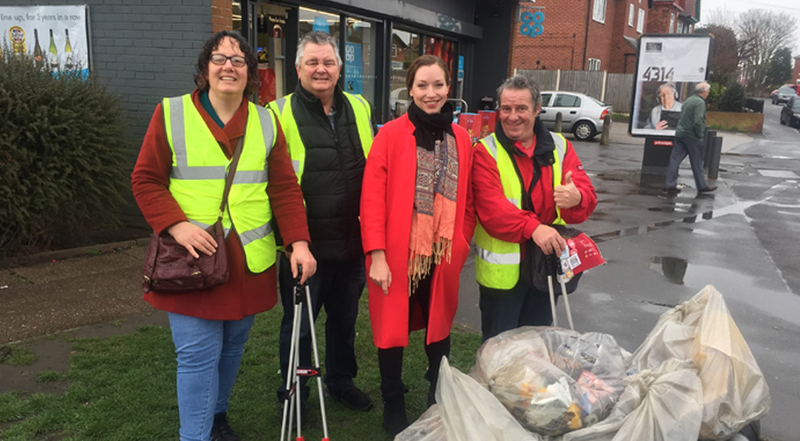 Meanwhile, Sawley’s Labour Borough Council candidates, Denise Bond, Alan Chewings and Dave Doyle took time out from election campaigning to spend over two hours community Litter picking around the Co-op and Sawley Park on Draycott Road.